The Air Barrier workshop provides a full-day educational workshop on building air tightness from a design, installation and testing aspect. The program utilizes a one hour lecture to review the principles of building science in regards to air and moisture flow, environmental conditions and various design considerations that must be taken into account in the design phase. The workshop then transitions over to an expert lead, hand’s on practical experience in which an integrated team of 4 individual (one architect, one engineer, one general contractor and one sub-trade) will work as a team to design the air tightness layer of the building enclosure systems and integration with other systems such as window/glazing units and associated penetrations, masonry anchoring system, etc. Twelve (12) teams in total compete with 4 teams applying one typically available air barrier product type (self –adhered membrane, fluid applied membrane, thin film mechanically fastened membrane). Describe the typical design considerations and priorities for creating a durable, air tightness layer within the building enclosure. Identify the typical sequence of installation of a specific air barrier product type and understand the compatibility and continuity issues. 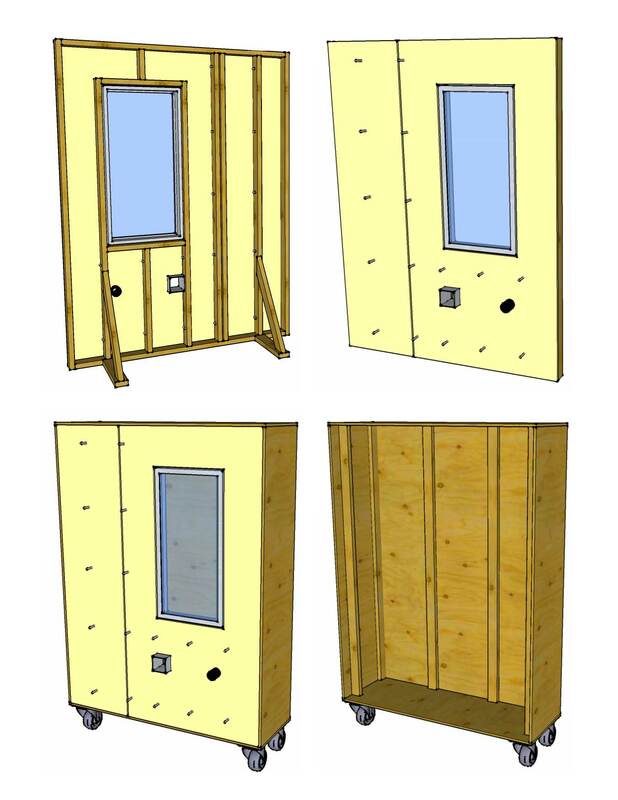 Ability to install a specific type of air barrier material and related components in a continuous and durable fashion. Identify the critical details in the design and installation phase to ensure long-term durability of the system and long-term performance. One week prior to event, team are notified of what product they will be installing and manufacturers information and building code information can be provided to them for review. The teams will be requested to bring this information to the workshop. Teams will need to design how to install the air barrier and integrate the air barrier with window penetration, round penetration, square penetration, expansion/control joint and masonry anchors that are set in place prior to air barrier application. Teams will need to install the system in accordance with manufacturers’ instructions. Teams will need to integrate the windows air barrier assembly to the wall air barrier assembly and ensure not only air tightness, but proper water management. Teams will need to determine sequence and timing issues, as all mock-ups need to be completed by 4:30 pm at the latest. This will simulate real life conditions that there is a time factor in play and teams will need to properly manage their time and sequence installation issues such as priming (and curing times), curing time of materials prior to other components, compatibility issues between products. Each team will be provided with the main air barrier material (self-adhered, fluid applied and mechanically fastened) and the manufacturers recommended component materials (sealants, caulking, transition materials, joint treatment, etc). Each team will be provided with the tools recommended by the manufacturer for their specific product. Facilitators will be available to assist and provide guidance. Teams will need to be prepared to present their design concept and sequence of construction. Judging of mock-ups will be done by conducting an air tightness test by a industry expert. Each mock-up will be assigned an air tightness value and indications of where leaks occurred. Each product category will be judged and one winner from each category will be recognized. An overview winner will be announced.